Please read the information below about how we choose speakers so you understand what we're looking for, and then submit your nomination here by Wednesday, May 1st, 2019. How do we choose speakers for The 3% Conference? Many conferences take lumps for having all-male lineups (or very few women). 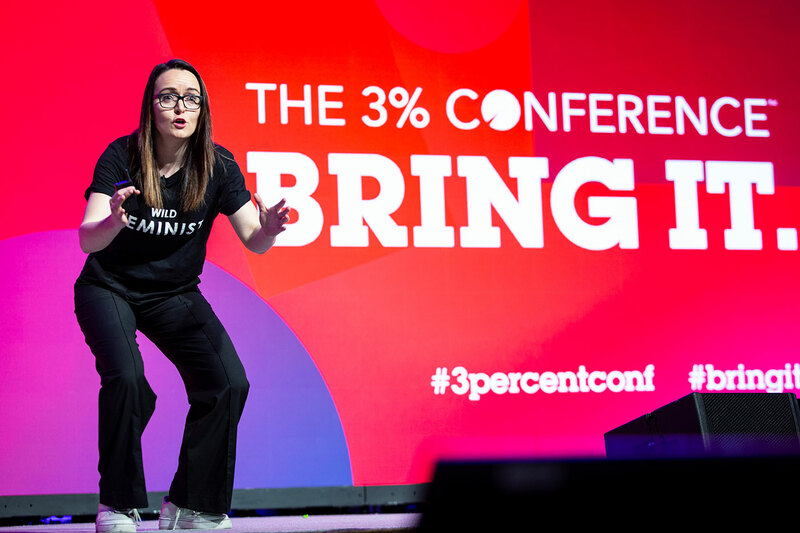 The 3% Conference has an embarrassment of riches when it comes to amazing female speakers. Every year we have to turn down very qualified, really exceptional women because so many women know about and support our mission. We state this because many people assume that any female creative director they know belongs on our stage. Yet our criteria for agenda setting is far more nuanced than that. 1. Speaker has expertise on a subject matter we’re addressing. 2. Speaker has familiarity with our community. We give preference to speakers who have been to our events and understand the special kind of magic we’re after. Bonus points to attendees who follow up with specific ideas for session topics and their role in making it happen. 3. Speaker combines a unique point of view with stage presence. There are a lot of very smart people in the world who aren’t particularly watchable on stage. We look for speakers who are both. You needn’t be showy or dramatic, but it helps if you think well on your feet and are comfortable in front of a crowd. That is why we ask for links to YouTube or other places where we can watch or listen to you speaking. 4. Speaker hasn’t spoken before at The 3% Conference or a 3% MiniCon. This is the hardest one. We try not to repeat speakers year to year (with very few exceptions). The reason is this: part of our mission is to raise the visibility of exceptional women and enlightened men. If we repeat folks year to year, we subliminally signal that there’s a shortage on both fronts (which is not true). Plus, we risk turning away repeat attendees who come every year for a fresh perspective. 5. Speaker is neither a woman, nor a Creative Director. Many people falsely assume we’re only on the hunt for female CDs to put on our stage. Not true. 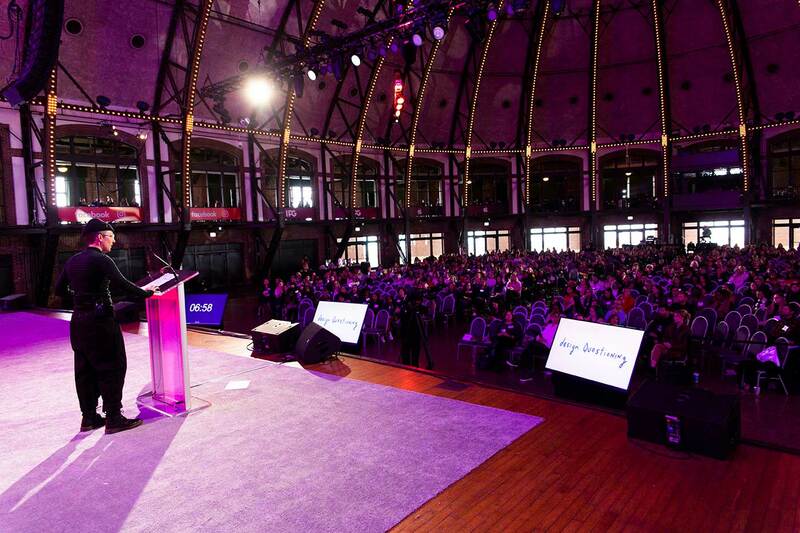 We’re searching for amazing speakers who can help us inspire, educate and enlighten attendees. We aim to have men as 30%+ of our speakers and we also invite professors, authors, researchers, filmmakers, entrepreneurs and other folks outside of advertising to share their thinking with us. 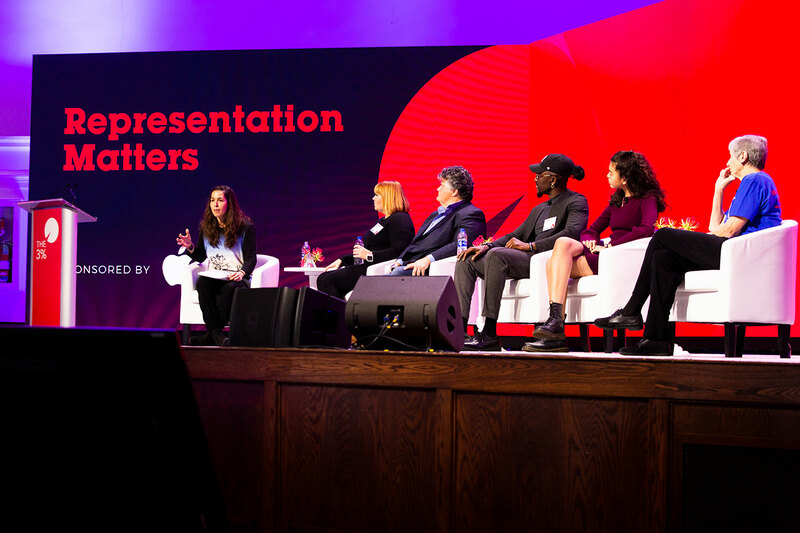 Increasingly, client-side folks are lending their voices to our event – letting agencies know how deeply they value diversity in order to make better connections with their end consumers. And we model diversity in our speaker lineup: with 50% speakers of color, speakers of varying gender/sexual identities, old and young speakers. Complete your submission for the 3% Conference here by Wednesday, May 1st. Speakers will be notified either way by Saturday, June 15th.